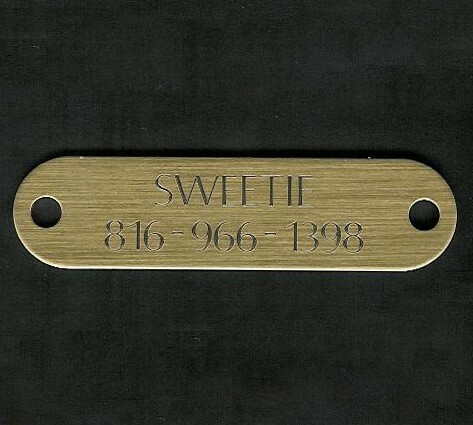 Brass Engraved Dog Collar Plate. Comes with Chicago Screws. We will engrave anything that you would like on the plates. Most do dogs name and phone number. Chip number is an option as well! 3/4" X 3"